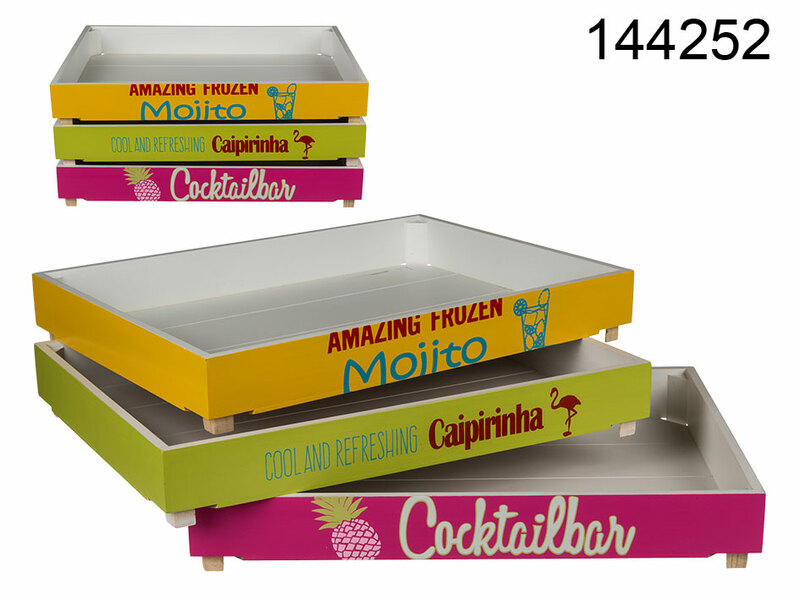 Colourful wooden tray with summer cocktail theme. Perfect to serve foods and drinks at home or in an office. Stylish summer party item. Assorted.